Many spectators, most radio/TV commentators, a surprisingly large proportion of coaches and many players simply do not understand Law 11 (Offside). When they think about it, one common comment is that, “It’s complicated.” And then there are those who don’t think it is complicated at all and offer comments that all too often demonstrate their lack of understanding. 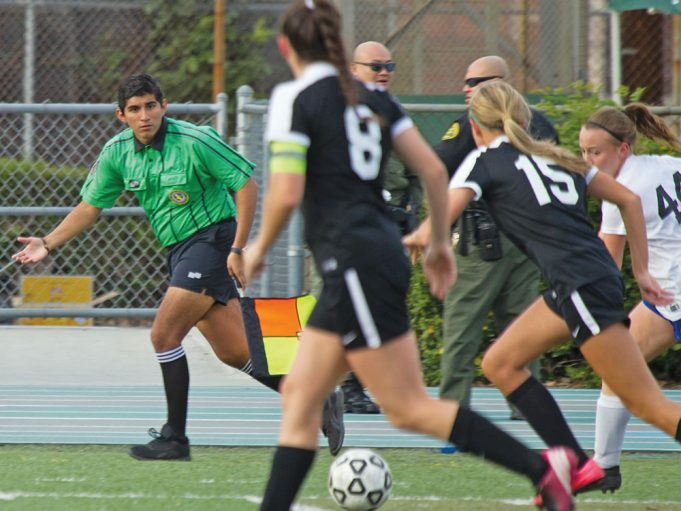 Sadly, one of the main reasons for these common problems is the way offside is taught. Fortunately, we have Referee magazine’s large body of articles, sidebars and MechaniGrams (offside is a popular topic) which, taken together over the years, go a long way toward demystifying this multilayered element of the Laws of the Game. Gaining a clear, concise and straightforward sense of Law 11 requires going beyond mere rote memorization of the individual elements of offside and obtaining instead an understanding of how these elements fit together into what turns out to be a surprisingly simple idea. What follows is a brief summary of the important concepts as a framework for acquiring a better grasp of the sometimes-confusing concept of “gaining an advantage” as applied to offside. Law 11 weaves together two fundamentally different, though related, topics: offside position and offside violation. Unfortunately, in common discussions, these topics are often reduced to a single word — offside — thereby leading to confusion regarding which of the two things is meant. “Position” is logically the more basic concept because there can be no offside violation without an offside position but rarely does an offside position lead to an offside violation (not to mention the times when it does but, for various reasons, we ignore it).